Share "Rent the Equipment for Your Spring Project"
As the weather gets warmer and winter’s ice and snow fades into chilly memory, we begin to think about opening the house up and doing our spring cleaning. With all of the warm summer months ahead of us and all of the projects we like to accomplish, wouldn’t it be nice to still find the time to enjoy the beautiful weather? Renting the equipment you need to accomplish your spring projects and cleanup will ensure that you’ll have exactly the right tools for the job. You also have the expert advice on getting things done quickly and safely. Once it’s warm enough to open up the doors and windows, rent a steam cleaner for a deep, thorough carpet cleaning. You’ll be amazed at what a professional steam cleaner can pick up. For wood flooring, a rented buffer can rejuvenate your floor; removing scuffs and scratches, making it looked brand-new. A pressure washer will quickly remove the dirt, grime, and mildew from the outside of your house. It’s also the perfect tool for cleaning your deck, patio and driveway. Once you’ve cleaned your deck, siding or fence and find that the time has come for a new coat of paint or stain, renting a paint sprayer can cut your time and in half or even more --and with professional results. If you have downed trees or just want to clean up some brush, a chipper will turn all of that debris into useful mulch that can benefit your landscaping. For larger trees and shrubs, chainsaws and tree trimmers are available to rent as well. Want to get a head start on a beautiful lawn? Begin by renting a de-thatcher (also known as a power rake) to remove the old thatch (dead grass, leaves and stems) that are choking out your lawn. Follow that with an aerator, which will incorporate holes into your lawn, allowing water, air and nutrients to more easily reach your lawn’s root system. 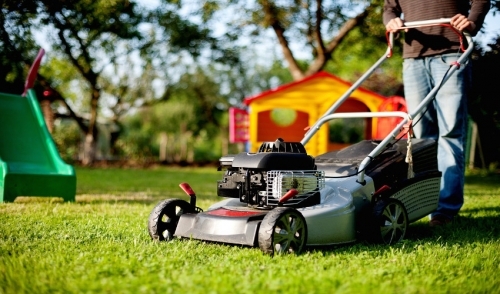 As your grass flourishes, rent and edger to finish your lawn’s manicure. If you want to give your shovel (and your back) a rest, rent a roto-tiller to handle your garden or to prepare an area for your landscaping. If you just need to dig, a power auger is the perfect tool to dig holes for fence posts and deck footings. 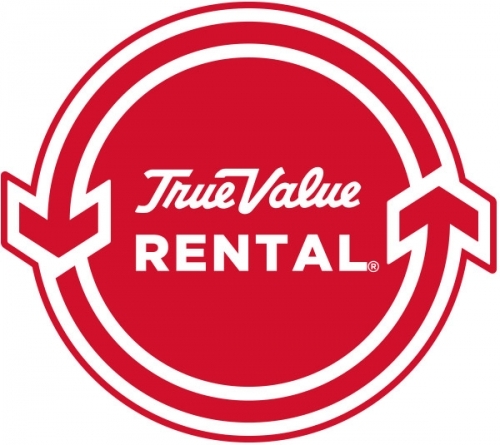 Renting the tools you need for your spring projects is extremely efficient and cost-effective. You’ll be using better quality equipment at a fraction of the cost over purchasing, plus you won’t have to store or maintain any of it. That translates into extra storage space in your shed or garage. Once you figure in the added value of expert advice, you’ll see that you’ve got a combination that is hard to beat.